Henry David Thoreau was a 19th-century American naturalist, philosopher, poet, essayist, and social reformer. He is best known for “Civil Disobedience,” an essay advocating for the rebellion against an unjust government, and for “Walden,” a book about his experiences living simply in nature. Now, Thoreau’s observations from “Walden” are the foundation of a new study exploring the effects of climate change on tree leaf-out and the emergence of spring wildflowers. 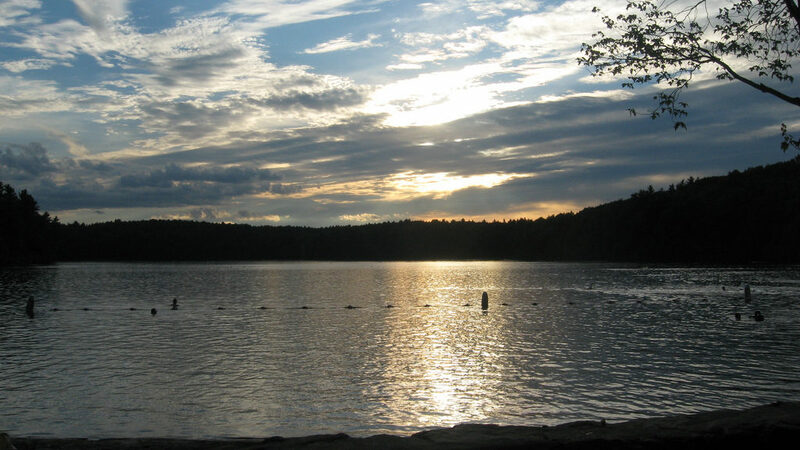 This research, which was recently published in the journal Ecology Letters, relies on Thoreau’s scientific observations gathered during the 1850s when he spent 26 months living in isolation at Walden Pond in Concord, Massachusetts. These observations from Thoreau were combined with current research to measure tree and wildflower leaf-out dates for 37 different years between 1852 and 2018. “Leaf out” refers to the time in spring when plants and trees begin producing leaves. An alteration in this timing can have a domino effect throughout an ecosystem. Over the past century, temperatures in Concord, Massachusetts have warmed five degrees Fahrenheit. As a result, leaf-out dates have changed significantly. According to researchers, wildflowers are leafing out about one week earlier, while trees are leafing out about two weeks earlier than they did 160 years ago. Ground-dwelling plants like wildflowers have a narrow window to accomplish growth, photosynthesis, and reproduction, before the canopy trees leaf out and block the sunlight. Temperature-driven shifts in the timing of tree leaf-out between Thoreau’s time and now are likely already hindering wildflower abundance and flowering. As the climate continues to warm, the already small window of time between wildflower emergence and tree leaf-out will likely shorten further. Photo, posted August 13, 2008, courtesy of Adam Pieniazek via Flickr. Earth Wise is a production of WAMC Northeast Public Radio.